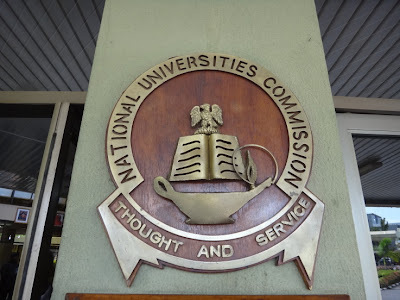 The operational licenses of the major universities in Nigeria have been suspended by the NUC (National Universities Commission) on Wednesday July 4, 2012. According to the official, the suspension will be lifted once they meet with NUC set standards. I would love to know their offence. I will grateful,if u tell me there offence. Please can you tell me what madonna did. please will it affect those going to law school. As for madonna university, I think NUC should shut down the university permanently! Those people running the institution are so ruthless! I say God punish them 4 their wickedness! They thought God was not watching them…..Nuc plz shut em down! while on earth shuld the NUC suspend the operating licence of Caritas university? It is better for all candidates to visit the NUC web before they even plan to choose any university.This will serve as a guide so as not to fall into any of these suspended universities, because we still see them operating.NUC thanks for a job well done. Please the nuc should come and do something about CALEB UNIVERSITY officials… They seize our right and freedom of movement treating us like pupils just like madonna university….they don’t have much student and they’re treating the ones they have like trash!… Our parent paid for comfort not the otherwise… Harsh,horrible,outrageous rules and regulations… HELP NUC!!! !